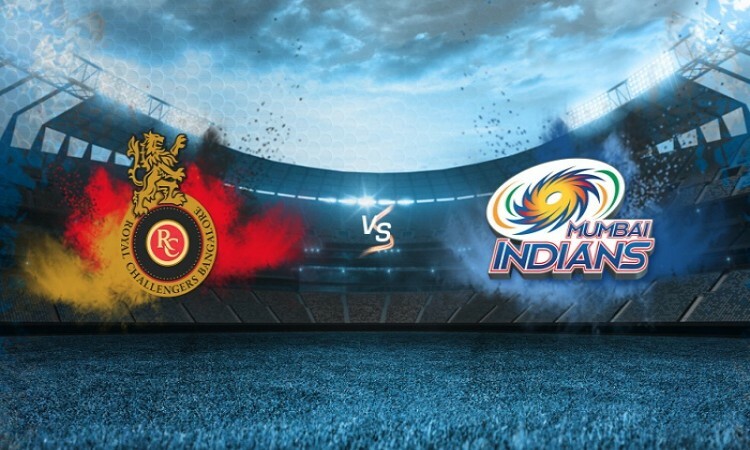 Mumbai, April 16 (CRICKETNMORE) - Winless Mumbai Indians will aim to register their maiden win when they face Royal Challengers Bangalore in an Indian Premier League (IPL) match at the Wankhede Stadium here on Tuesday. The batting department of the hosts failed in the first two games, and when they clicked bowlers lost the control. So in order to change their fortunes in the upcoming match, Rohit Sharma-led side will have to take care to the small things on the ground. So, to register their second win, Bangalore need to set their bowling combinations right as, apart from leggie Yuzvendra Chahal, no other bowlers could rose to the occasion. The batting department seemed solid with the likes of skipper Virat Kohli, Brendon McCullum, and AB de Villiers. So if they perform as per the expectations, fans could witness another high-scoring game.